At Aftermath, we are not only committed to providing families and businesses with compassionate care in times of tragedy, we are also committed to supporting and enhancing the communities in which we serve. Aftermath is proud to sponsor a variety of community organizations and participate in a range of national and regional conferences. Aftermath has been a consistent member of law enforcement and safety-related associations. We are also regular supporters of law enforcement backed charitable events. If you have an event or organization that may be a good fit for Aftermath, please contact us at: info@aftermath.com. 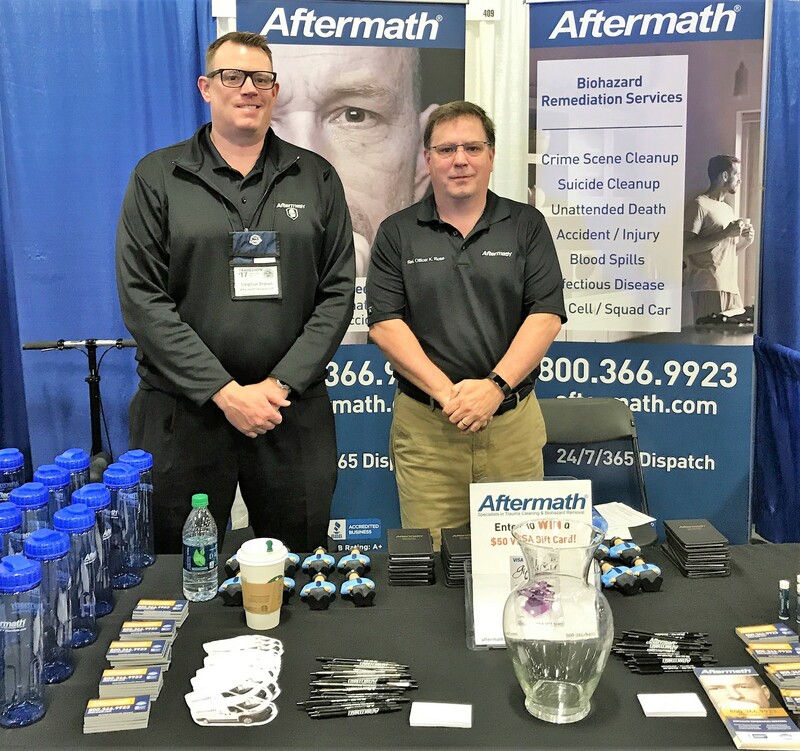 Aftermath travels all over the nation to support regional and national association conferences hosted by the law enforcement, first responder, and safety communities. Take a look at our upcoming conferences and stop by our booth – we always have fun giveaways and prizes!